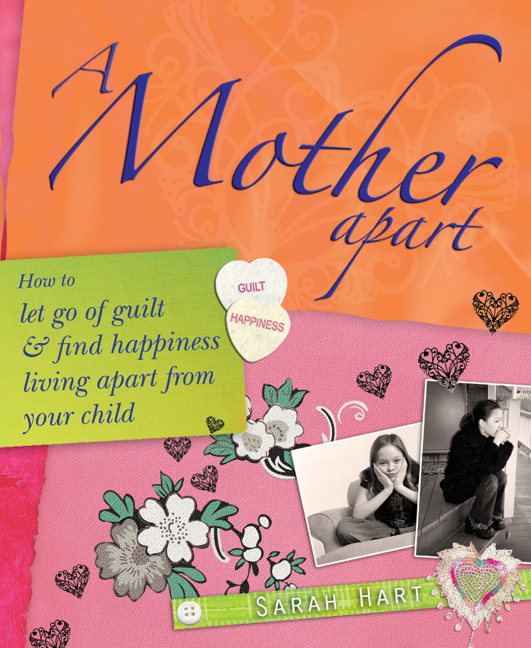 My self-help book, ‘A Mother Apart’ will soon be released in the US, Canada and Australia, in time for Mother’s Day, 11 May – the most painful day of the year for many mothers living apart from their children. In order to try and reach as many women who might need the book as possible, I’ve been spending some time googling: mothers, moms, mums, without custody and living apart from children. Quite a few forums and small organisations appear, many with heartbreaking stories of separation, pain and confusion, but when I try to make contact with these group co-ordinators many of my e-mails bounce back. We know that there are millions of mothers living apart from their children around the world, and the numbers are rising – so where are these women? Women live apart from their children for a whole range of reasons; they lose custody or they become part-time mothers with joint custody, which sometimes doesn’t work out in practice. Then there are more tragic circumstances involved such as a serious illness, false allegations of abuse or losing touch with their children altogether – suffering Parental Alienation Syndrome (PAS). Whatever the reason, being separated from a child can be devastatingly painful and difficult to manage. Grief, guilt, regret and the stress of battling with an ex-partner are just a few emotions that women living apart from their children must come to terms with. And many are left alone to deal with their own pain and emotional journey as the subject is still surrounded by taboo, social stigma and stereotypes of ‘abandoning’ or ‘unfit’ mother. As a counsellor, I have worked with women who keep their status of being a mother a secret in order to avoid judgement. That’s why I was inspired to write ‘A Mother Apart’. I have written the book as a mother apart of twenty years (I now have a good relationship with my daughter who grew up with her father in South Africa) and as a counsellor who specialises in supporting women who live apart from their children. I’d love to hear from you if know of any organisations apart from MATCH and NANCM, who support and advise mothers living apart from their children or if you are or know of any journalists who would like to write a magazine or newspaper article on this emotive and worthy topic. Last Saturday, in The Weekend Guardian, I read a very moving story of a woman whose mother left the family home when she was 7 years old, called ‘My mother deserted me’. It takes a huge amount of courage to put pen to paper and very publically, revisit a trauma which happened over fifty years ago. I hope the writer found it a cathartic experience – she so deserves inner peace and happiness. If you are a mother who lives apart from your child, I know how hard it can be to read an article like this, especially if your child is very young. However, I believe that by reading another person’s account of loss we can, if we explore our feelings, understand and heal our own pain and loss, allowing us to live without being unduly burdened by guilt and regret. In my book ‘A Mother Apart’, you’ll find that I’m really interested in exploring what is triggered within us as non-resident mothers (or ‘mothers apart’), and I think the two likely flash points within the article are the writer’s judgement of her mother, finding her “guilty of deserting her children” and secondly, the impact of the mother’s absence on the writer’s life. Let’s start with the judgement and guilty verdict. This is difficult because we fear that both our children and other people will judge us – which can lead us to feel guilty and ashamed. As such we might want to avoid trigger situations such as reading the Guardian article, or conversations with others that could make us feel this way. Sometimes, feeling shamed and in pain we will hide our side of the story. As if this wasn’t bad enough, we often judge ourselves very harshly for what we did or didn’t do. Perhaps we turn on ourselves after reading an article on ‘deserted’ children, blaming ourselves for what happened in the past. One way we can help ourselves overcome this is to make a conscious effort to allow everyone their own experience. Not easy I know! That’s why I say conscious. It means that as we read the article or listen to someone else’s opinion, we centre and protect ourselves by saying to ourselves and sometimes out loud, “OK, I hear that this was your experience, what feels true to you – and your experience is completely separate from mine”. In my experience as a counsellor, ‘the truth’ is a funny kettle of fish. In fact, when it comes to interpersonal relationships, I don’t believe it exists. What I have found is that each of us has a version of events and experiences that is our truth. The degree to which relationships are deepened and enriched directly relates to one person’s ability to really listen to and value another person’s side – their truth. Respect is generated when we actively try to understand another person’s view of the world. This isn’t about agreeing with them (although it could be), but it’s about allowing them and ourselves to have a version of the truth which is as valid, as real and absolutely equal to someone else’s. This way, we allow other people to be who they are. And we in return, are free to be ourselves. Ultimately, we have no control over what anyone else thinks or believes about us. What’s important, I think, is to live as truthfully and honourably as we are able. · As adults, we are responsible for making ourselves happy and establishing and maintaining relationships with others. · Your child, as an adult, will be responsible for making herself/himself happy and finding any help she/he needs to come to terms with the past. You can support them and talk things through with them but ultimately, like the article writer, choosing to work through childhood issues or not, is a personal decision. Please take excellent care of yourself. Find professional support to help you with this if you need it. Why don’t you leave a comment to let me know what you feel?